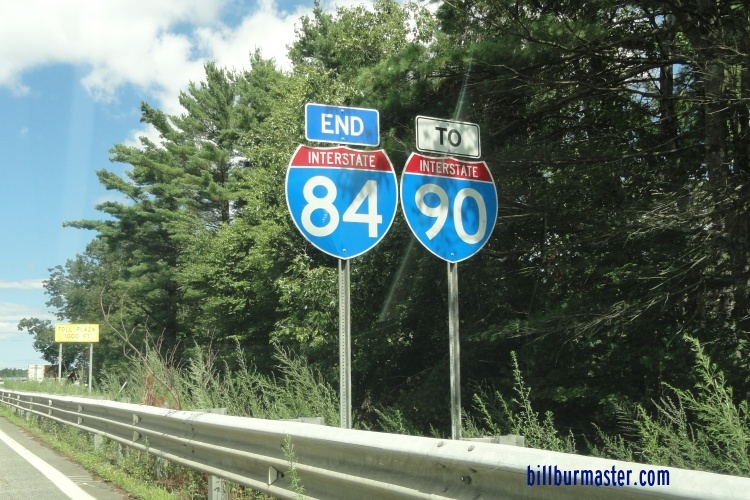 Interstate 84 is a short north-south highway in South-Central Massachusetts. 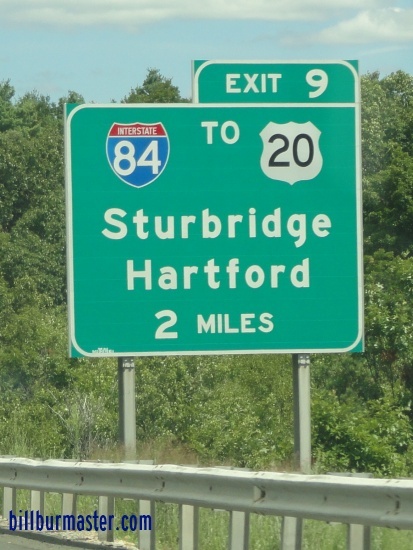 The interstate runs from the Connecticut/Massachusetts State Line, south of Holland, to Interstate 90/Massachusetts Turnpike, at Sturbrudge. This highway is aprox. eight miles in length. 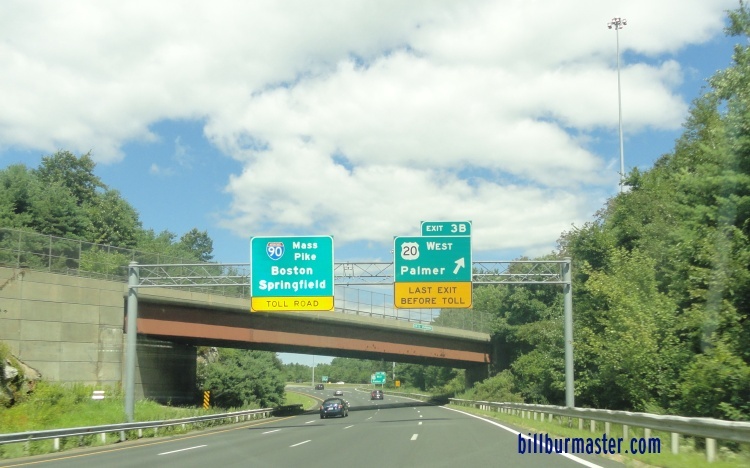 While in Massachusetts, I-84 is not multi-plexed. 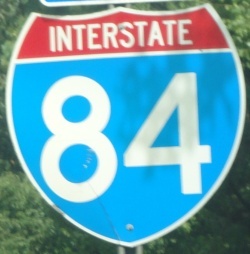 In Massachusetts, Interstate 84 crosses the following interstate. 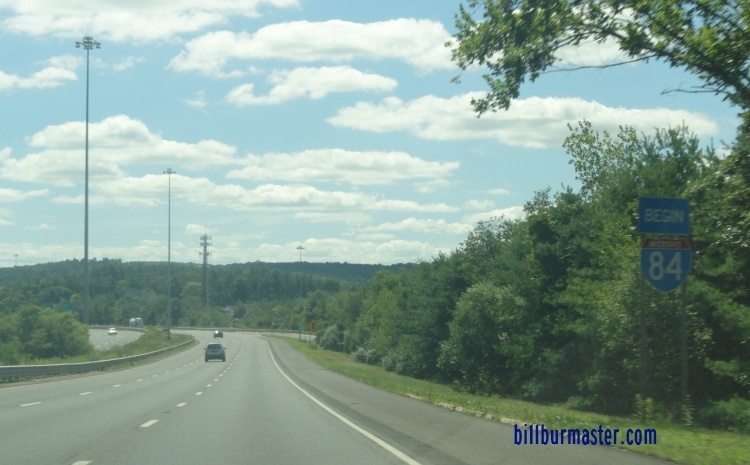 Interstate 90, (Massachusetts Turnpike) near Sturbridge. 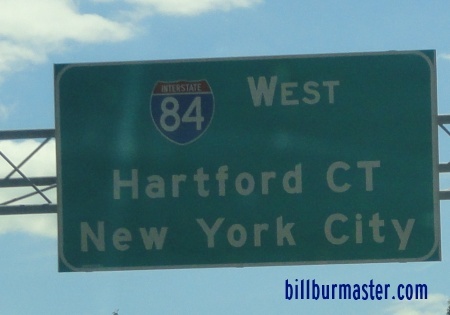 There are no branches of I-84 in Massachusetts. A BGS on EB I-90/MassPike. The eastern start to I-84. 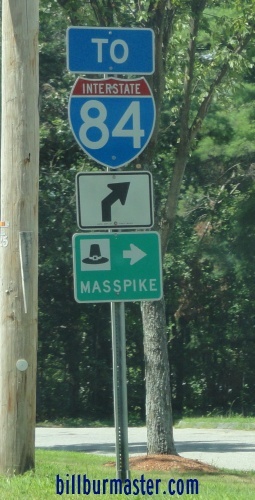 A set of guide markers on NB MA St Rt 131. 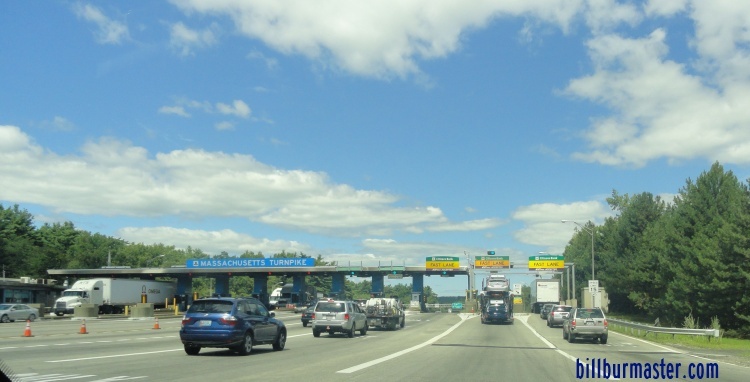 The toll plaza at the end of I-84 for the Massachusetts Turnpike.